However, whenever my grandparents got around to discussing life on the farm before electricity and indoor plumbing, it always made me feel grateful to be of my own generation, no matter what Tom Brokaw thinks about whose generation is the best. At any rate, we can learn a lot from older generations about frugality. However, I also know a ton of millennials who are rockin’ the frugal life as well! Sometimes this is out of choice, or necessity, or both. No generation has a monopoly on frugality, but there ARE certain habits that frugal people tend to have, no matter their age. Frugal people operate their finances within a budget. They know how much they can spend on any given item or budget category in a given month, and as a general rule they do not exceed it. Frugal people do not waste anything. Whether it is a cardboard box that came in the mail, aluminum foil, or plastic bags from the grocery store, frugal people recognize the opportunity to save money by reusing items, or using them in new ways. Frugal people carefully contemplate major purchases, and often do a lot of research prior to making such purchases. They shop around before making big purchases, in order to make sure they are getting the best possible deal. Frugal people are more likely to buy items used or heavily discounted, because of their tendency to shop around. Frugal people rarely pay full price! In fact, I know some people who absolutely WILL NOT purchase an item unless they can score some type of discount on it. 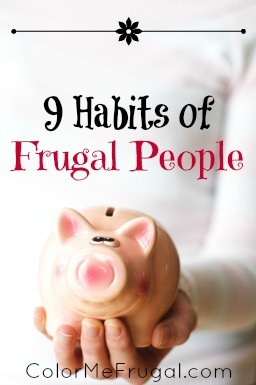 Frugal people tend to be very in-tune with their own personal needs and wants. They are less likely to be influenced by what their neighbors or co-workers are buying- they just don’t care! Frugal people are much more likely to be seen driving the same car for decades, or repairing their own 20 year-old lawnmower. In other words, they are masters at preventing lifestyle inflation. Frugal people cook at home. They know that food they prepare at home is likely to be far healthier and wayyyyy cheaper than anything they could find at a restaurant. They also tend to meal plan in advance (either self-created or using a cheap service like $5 Meal Plan), which helps keep them out of the drive thru lane on busy evenings. I’ve actually recently started using an app called Plan to Eat, which allows me to import my own recipes and meal plan/grocery shop using my smartphone. Winning! Frugal people find ways to make their time and money go as far as possible. Whether it is shopping for clothes at thrift stores, installing a water-efficient shower head to save money in the shower, or using a rewards website like Swagbucks to do all of their online searches, frugal people are always interested in getting the most for their time and money. Frugal people find frugal ways to take vacations. Frugal folk understand that it’s not always necessary to stay in a super nice hotel, especially if most of the activities you have planned will take you away from the hotel anyway. Frugal people also aren’t afraid to think outside the box when it comes to travel destinations. For example, my friend Holly recently took her family to a theme park within driving distance of their home, and saved a boatload of cash compared to what a Disney vacation would have cost them! Frugal people tend to care a lot less about what is currently fashionable or trendy. They understand that trying to keep up with fads today will do them no good, because something different will be trendy next month or next year. Also, frugal people just tend to care a whole lot less about what the Joneses think of them anyway! No prob, thanks for the inspiration! Thanks for the support and helping me spread the word about my podcast! Great tips, Dee. I consider myself to be frugal, even though we live a very good life. 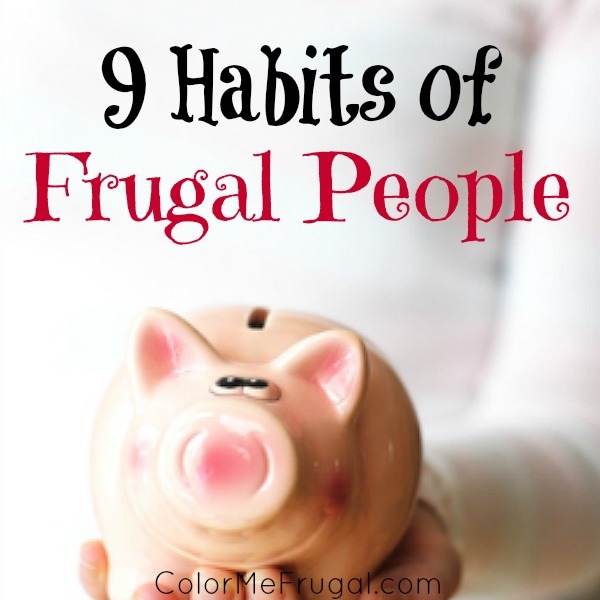 To me, frugal is about making conscious choices with your money. I don’t like wasting money, so I am very conscious about where I am willing to spend money (even a significant amount of money) and where I won’t. That’s awesome Shannon. I think the part about making conscious choices with money is key. Being frugal is about making sure that your hard-earned dollars go toward the things you really care about, as opposed to just lots and lots more “things”! Loving those frugal tips! I’ve been shopping for my clothes at thrift stores for YEARS–so many great finds to be had. The podcast sounds great; excited to check it out! I’m especially loving thrift stores and garage sales since we became parents- kids outgrow things with lightning speed, so there is no point at all in buying new items that will be in a storage bin in less than six months! Cooking at home was a major money saver for me. The money to eat out adds up in a way that can give you an instant migraine once you figure out the total you have wasted. My rule of thumb is it’s fine to be frugal, but find ways to reward yourself once in a way to keep on track. Cooking at home has been such a biggie for us. We used to be TERRIBLE about eating out too frequently. Thinking back to where we used to be, we’ve really come a long way 🙂 And the best part is that, now that we’ve gotten better at cooking, we actually like food that we cook at home better than what we find at most restaurants anyway! I’ve been there, Sam! It took me several years to break out of the shopping habit. Good luck to you and your wife on your financial journey!